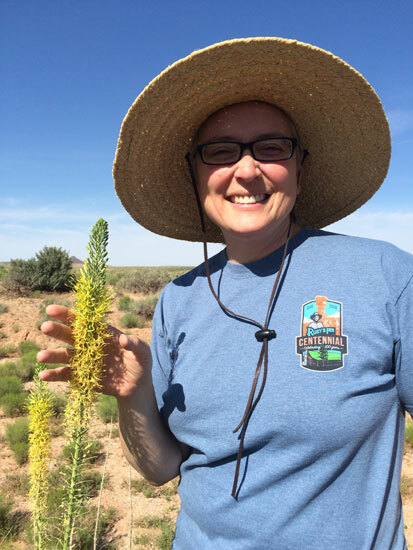 Dr. Jackie Grant, a biology professor at Southern Utah University, was recently awarded $67,949 from the Bureau of Land Management’s Colorado Plateau Native Plant Program (CPNPP) to collect seeds from native plants for research and restoration. These seeds are used to restore plant life after wildfires destroy forests and seeds in the underlying soil. The project couldn’t have come at a better time. With the Brian Head Fire raging only 32 miles away from the University, Grant’s project will simultaneously train students on proper seed collection to treat the damaged land and help accelerate plant regrowth after the fire. As of June 26, the Brian Head Fire has burned over 43,440 acres of land, destroyed 13 homes and 8 outbuildings and displaced more than 1,500 people. It will take 60 to 100 years for the forest to regrow, but thanks to Grant’s seed collection project, she can prevent non-native plants from slowing the process of reforestation. Native plants are crucial to maintain pollinator populations and feed wildlife such as elk and mule deer. However, fires the size of the Brian Head Fire sterilize the soil and kill most of the seeds. An associate professor of biology, director of the Garth and Jerri Frehner Museum of Natural History, and a conservation biologist, Grant focuses her teaching and personal research on green infrastructure and organismal biology. Dr. Grant’s team has already started collecting the thousands of seeds needed to contribute to the restoration of native plant communities. This funding will also feed into other projects, including development of native plant and pollinator gardens at Iron County schools and determining which native plants can be used to improve green building infrastructure for water conservation in southern Utah. 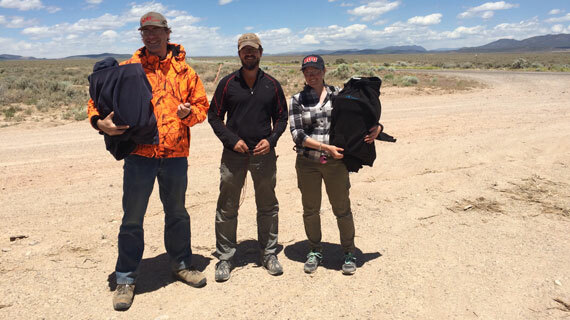 Grant and her colleague Dr. Matt Ogburn, assistant professor of biology, have hired two SUU students to travel across southern Utah and identify native plants as directed by the Colorado Plateau Native Plant Program of the BLM. Grant’s team will contribute to research performed by Magda Garbowski at Colorado State University, where scientists are trying to determine how to keep damaging non-native plants out of our ecosystems. The team also plans to collect genetic tissue samples to send to their partner Rob Massatti and the United States Geological Survey in Flagstaff, Arizona. USGS researchers are using genetics to make seed collection and distribution more efficient and effective. Grant and Ogburn are also collaborating with the US Forest Service to find seeds from plants that improve sage grouse habitat, and plants that provide nectar for butterflies. The research conducted this summer builds on previous work Grant has done with iUTAH, the state’s National Science Foundation EPSCoR grant. Benefits extend to more than SUU students because water, outdoor recreation, hunting, fishing, and access to the state’s incredible scenery are important to most residents of Utah. Grant’s collaborations with iUTAH, a statewide research infrastructure improvement grant aimed at water research, education, and outreach, have been recognized with both a Research Catalyst Grant and an Education and Outreach Catalyst grant. A third award for time-release gave Dr. Grant the time to write the proposal for seed collection. Other funding obtained by Dr. Grant has come through the Utah Division of Arts and Museums and the Society for the Study of Evolution. Grant is currently developing a proposal with the Paiute Indian Tribe of Utah to create a trio of gardens devoted to native and culturally important plants. Grant recently finished a DNA Barcoding course through the University of Guelph and is the current Vice President for Education Outreach for the Society for Conservation Biology where she serves on the board of governors and organizes educational activities at their international meetings. Locally, she contributes to Cedar City as a member of the Trails Commission, a partner with K-12 science teachers, and a board member of the Southwest Wildlife Foundation. To learn more about Grant’s research or to volunteer for seed collection, contact Dr. Jackie Grant at jacqualinegrant@suu.edu. For updates on the Brian Head Fire, follow the hashtag #BrianHeadFire on Twitter.